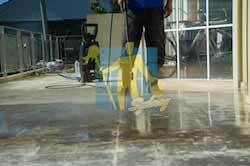 High Pressure washing is a great way to clean the grime and other contamination from concrete driveways, pathways and patios. 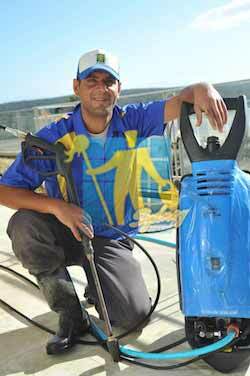 By using a pressure washer you'll eliminate ugly oil stains, slippery moss and algae as well as the hazards associated with slippery surfaces. 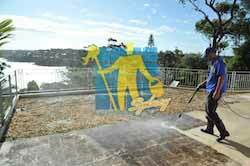 For Concrete Cleaning, Brick Cleaning, Pavers Cleaning, Concrete Washing, Brick Restoration, Timber Cleaning, Sandstone Cleaning & Exterior Tile Cleaning. 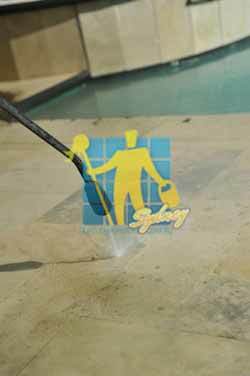 It is important to recognise the fact that not all surfaces can be treated in the same manner. 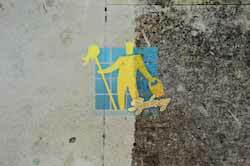 An understanding of both the material composition and the nature of its deterioration are essential. 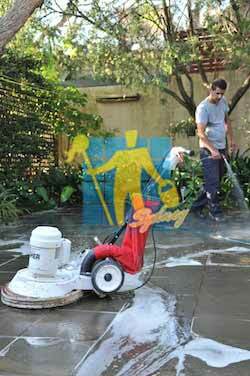 That is why hiring a professional pressure cleaner is a wise option. 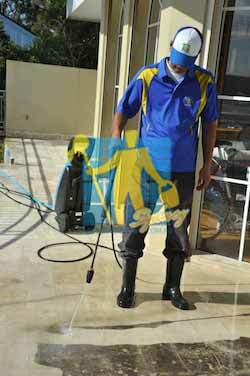 Somebody who can identify the types of stain and contaminants and who understands the surfaces characteristics. 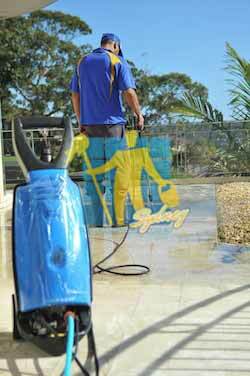 Tile Cleaners Sydney® utilise a specialised 3 step cleaning process ensuring total restoration to your hard surfaces. 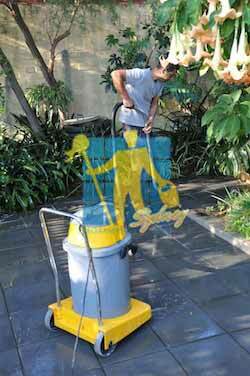 Step 1 - First we apply a customised biodegradable cleaning solution necessary to loosen the bond between your hard surface and mould, mildew, moss etc. 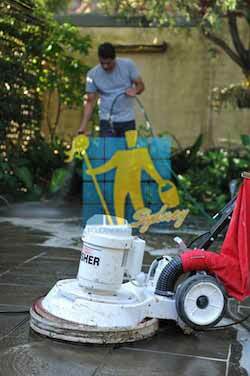 Step 2 - Solutions in order to be most effective require agitation! 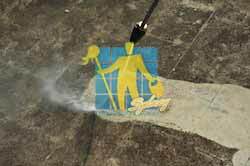 That's why we then manually scrub your hard surface lifting and breaking the surface bond.